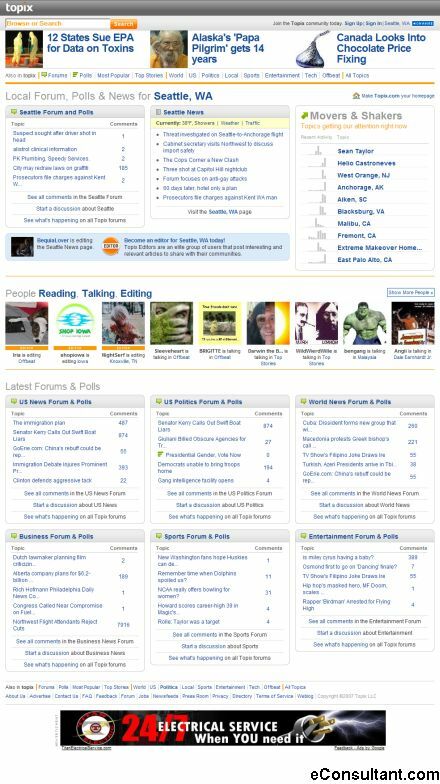 Description : Topix is the world’s largest community news website. You can read, talk about and even edit the news on over 360,000 of our news pages. Whatever your interests are, Topix have a news page for you. Topix is also a place for you to post your own news stories, as well as comment about stories you’ve seen on the Topix site. Each story and every Topix page comes with the ability to add your voice to the conversation.